With the consent of African governments, China’s subtle but deliberate strategy is paying off. By Ronak Gopaldas for ISS TODAY. Mass indignation greeted the revelation that South Africa was to receive a R370-billion “gift” from China, amid criticism about the lack of transparency surrounding Eskom’s recent loan deal with the China Development Bank. 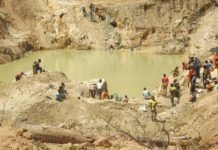 In the same week, reports emerged that two Zambian parastatals were being considered as collateral for loans from the Chinese government. This was cited as evidence of China’s ‘predatory’ form of debt trap diplomacy that threatens the sovereignty of African nations. Speculation around which strategic assets and countries were next in China’s cross hairs followed. 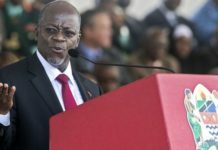 Accusations were that governments of South Africa and Zambia were mortgaging their futures to the highest bidder. Much of the discourse has been simplistic – painting China as evil and African countries as naïve bystanders. The reality is far more complex. 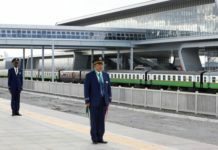 China was keen to push back against allegations that its Belt and Road Initiative was deliberately overloading poor African nations with debt. 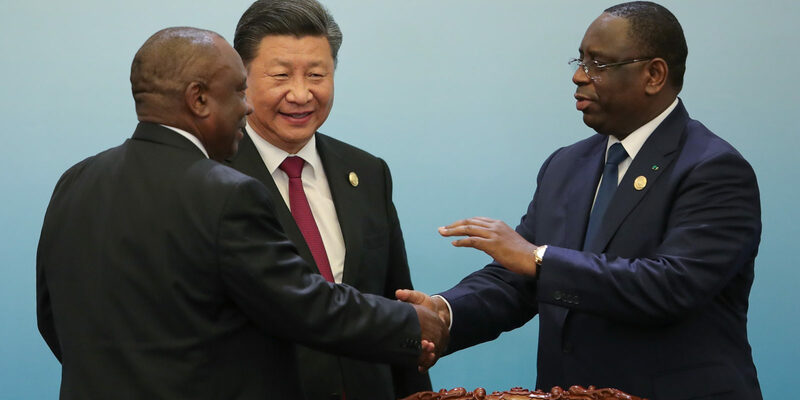 Through symbolic gestures like debt forgiveness, new financing arrangements totalling US$60 billion, and stressing that there are ‘no strings attached’ to its financing, China skilfully attempted to reframe Sino-African relations as a partnership of equals. This isin contrast to the methods used by the West which are deemed to contain onerous political conditionality. Geopolitically, the Belt and Road Initiative and infrastructure focus was again the centrepiece of China’s strategy in Africa. With its young population, growing consumer market and cheap labor Africa provides complementary drivers for China’s economy. At the same time, Africa faces a major infrastructure deficit and funding gaps, which China is able to plug. The practice involves the slow accumulation of small changes, “none of which in isolation amounts to a casus belli, but which add up over time to a substantial change in the strategic picture,” according to military analyst Robert Haddick. This incremental strategy has been employed with considerable success for territorial gains in the South China sea. There is now evidence that it’s taking root in Africa. For example, the construction of a naval base in Djibouti is part of an effort to establish a “string of pearls” along the Indian Ocean. In both Mauritius and the Seychelles, China has made steady advances – muscling in on India’s sphere of influence. In the past, China’s approach to Africa focused on economic issues, leaving security engagement to the United States. But China’s military equipment is now being used by more than two-thirds of African countries, according to the International Institute for Strategic Studies. This reflects the growth in Beijing’s influence and investment in the continent. Indeed, military exports rose 55% between 2008 and 2017 according to the Stockholm International Peace Research Institute. Until now, these actions have largely gone under the radar. But China’s slow and patient approach to establishing dominance in Africa is raising eyebrows. It is seen as clear evidence of “salami slicing” being effectively used to achieve both geo-strategic leverage and economic penetration. The genius of the tactic is that it happens slowly, then suddenly. As Haddick explains: “A salami-slicer puts the burden of disruptive action on his adversary. That adversary will be in the uncomfortable position of drawing seemingly unjustifiable red lines and engaging in indefensible brinkmanship.” Simply put, China is only able to advance as far as it’s given licence to do so. Indeed, as Peter Pham, Abdoul Salam Bello and Boubacar-Sid Barry write in Foreign Policy: “Chinese loans are neither inherently good nor bad – they will be whatever the African nations choose to make of them.